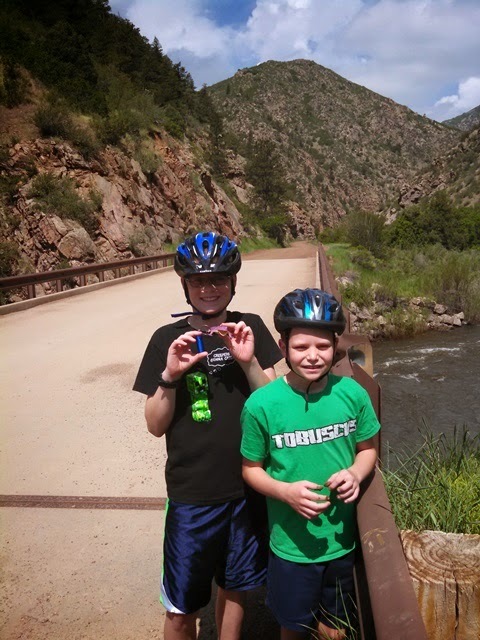 Saturday, we loaded our mountain bikes on the back of our mini-van and took them to Waterton Canyon. 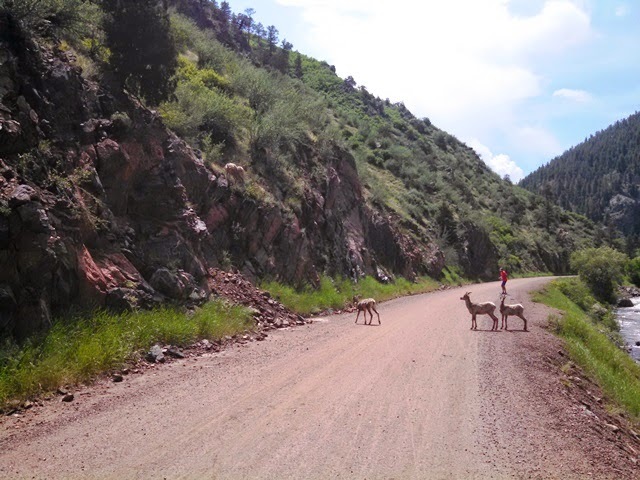 You may remember Waterton Canyon from such posts as Biking with the Sheep. 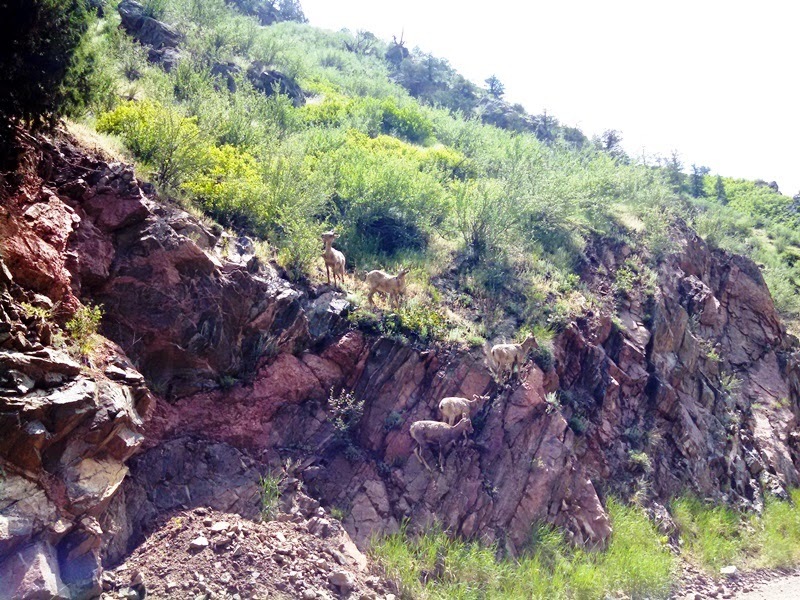 In fact, I've just realized that I blog about it enough that I might as well have a Sheppy's Blog: Waterton Canyon "label". You can follow that link to see all our adventures in this canyon (including this blog post). 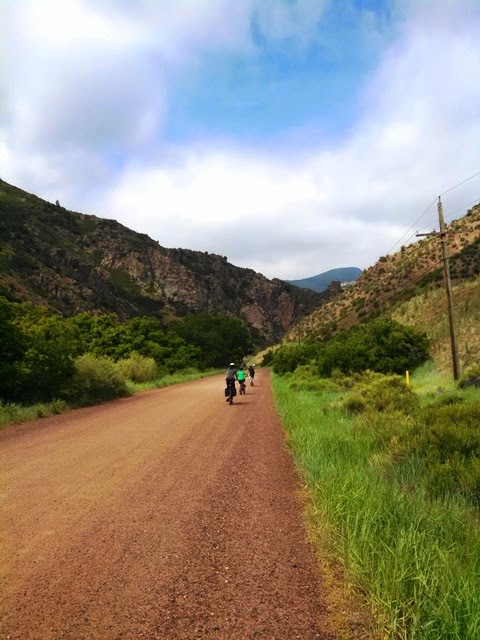 As a reminder, Waterton Canyon is the beginning of the 480 mile Colorado Trail. 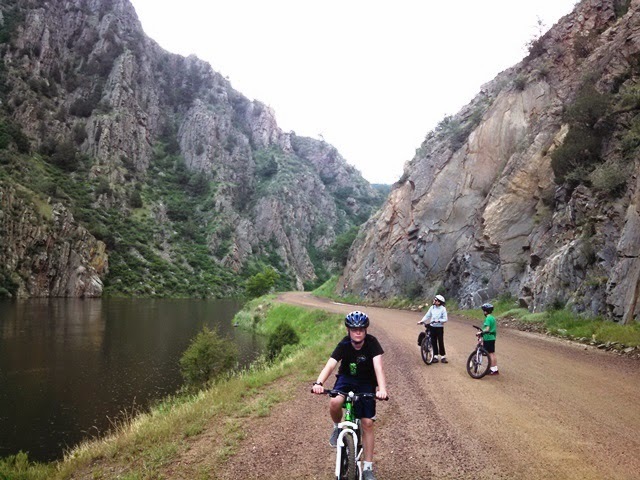 The canyon is a good place to take the kids riding. It is off-road, but nice and wide. 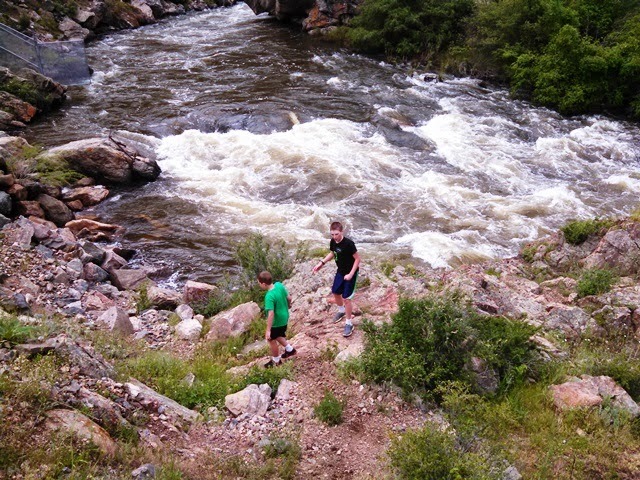 It is also very scenic, with access to the South Platte river and rocks to climb. It only has a slight elevation gain, so it is pretty easy without being too simple. The river is certainly up compared to most (probably all) of the pictures you've seen on this blog. We've had a good snowy winter in the mountains plus a pretty wet spring so far. This time, we decided to load a few geocaches in the GPS and find some of those along the way. I ended up loading in a bunch, but we only looked for and found 3. 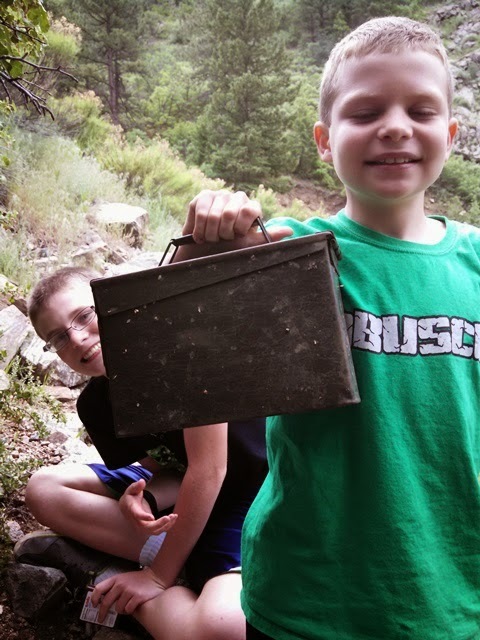 The first cache we found was Waterton Monsters. 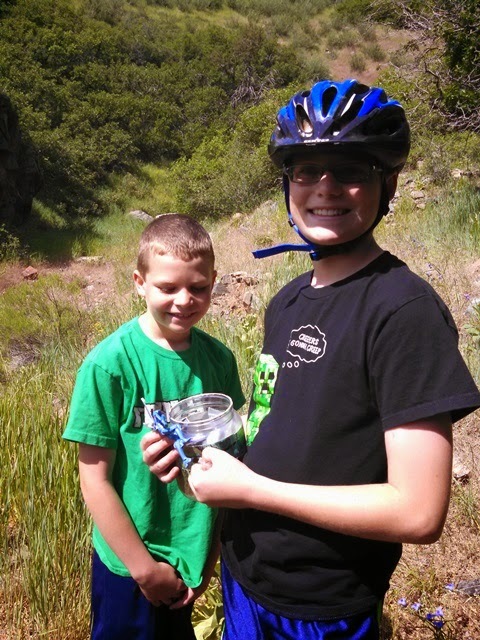 The second cache we found was The Bridge at Mill Gulch. 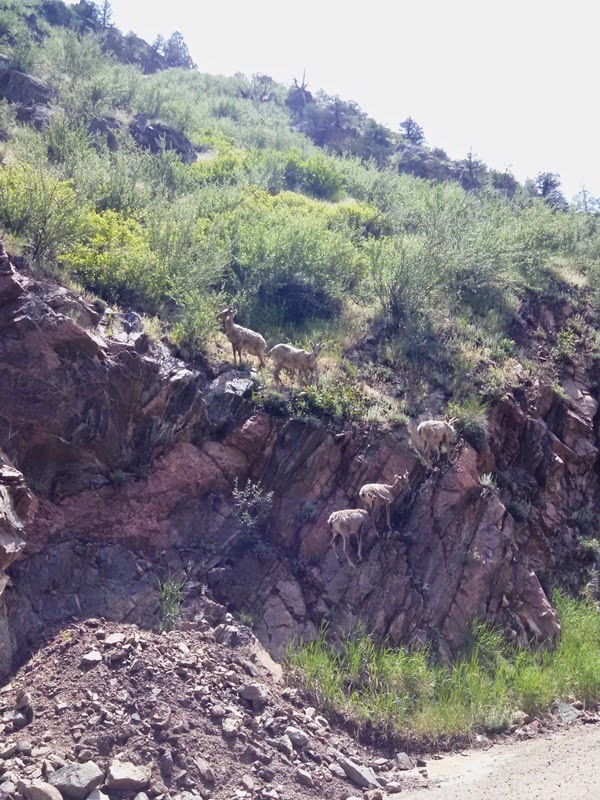 As often happens on our bike rides through Waterton Canyon, we came across Big Horn Sheep. I think the herd must be growing, because I think it is much more common to see the sheep now-a-days than it was when we first moved to Colorado. 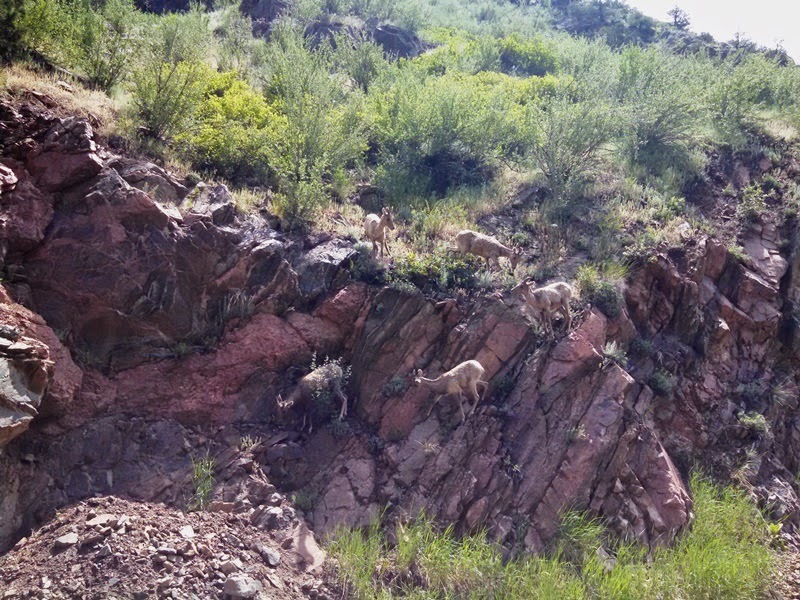 Anyway, I still think it is awesome to come across these wild animals. I didn't get great pictures of them, but I tried. 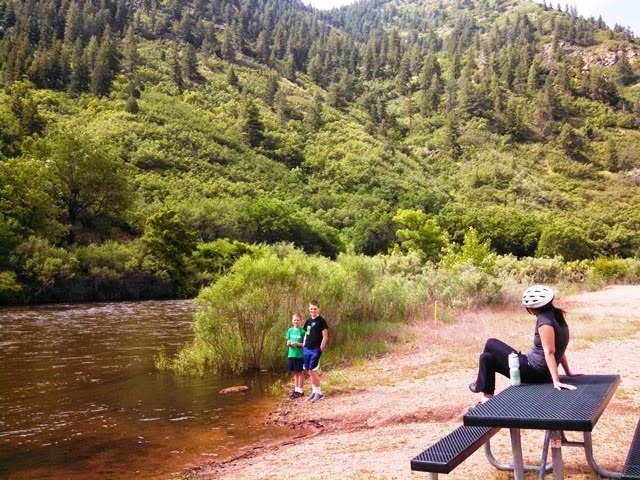 We had our lunch at the end of the canyon before the single-track of the Colorado Trail starts. There is a nice little shelter there with picnic tables, making it a great place for lunch. We hung around for awhile. The kids climbing and throwing rocks in the water. 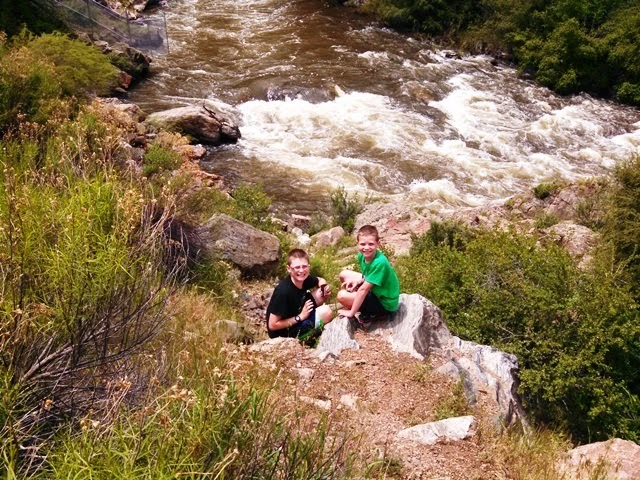 We also found our third geocache of the day, Waterton Canyon Cache. 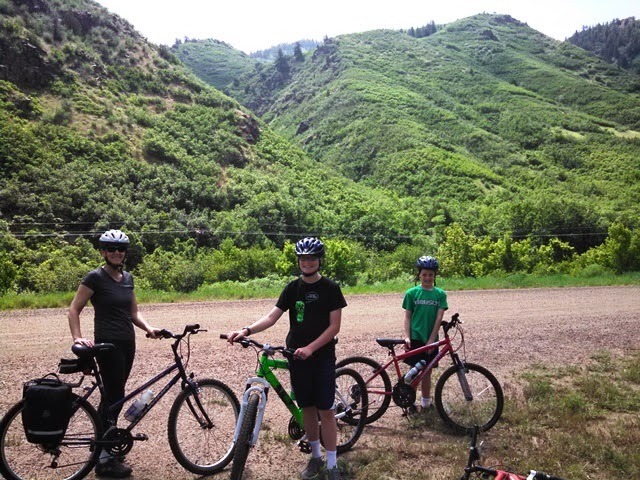 Eventually, we got back on our bikes and headed back down the canyon. It started to rain a little on our ride back, but not enough to get us wet. When we were almost back to the parking lot, we saw a small group of people looking off to the side of the trail, pointing and taking pictures. When I looked in the direction they were looking, I saw a glimpse of a largish black animal. I suspected, but couldn't really tell for sure, that it was a black bear that I had glimpsed. I confirmed that with the people as we rode past. Pretty cool. So anyway, that was our main activity for Saturday. Awesome fun. Good exercise. Hope you enjoyed the pictures. As always, they don't do justice to the beauty of being there in person.